Gina has been passionate about food since she was a little girl. Coming from a long line of Italian chefs, she learned to cook at an early age and always knew that was what she was meant to do. At 17 she said goodbye to her family and her small Idaho home town and headed off for culinary school in Italy. She spent years honing her skills, using all of life’s opportunities to perfect her particular brand. Early on she created sauces and soups for a small basket business in Los angeles, later, being a small town girl at heart, she married and moved to Carbondale, CO with her husband and twin boys. A second set of twins made their appearance, and she has been cooking for a crowd ever since! Her husband, Rod Stryker is a renowned Yogi, has trained yoga instructors and run yoga retreats for decades. About 11 years ago, Gina started catering for them. 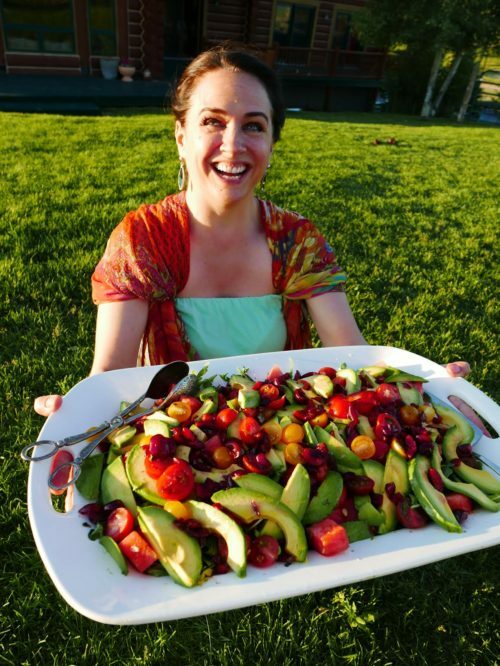 Gina Cucina is the culmination of cooking for 1000’s of yogis and 100’s of toddlers over the years. Both sets are the most discerning of customers! No matter how many places at the table, Gina has rules: use only the freshest, local ingredients… season judiciously (light on the salt!) and let all the natural flavor shine through. Make her a part of your family dinner, and taste the love in every bite!